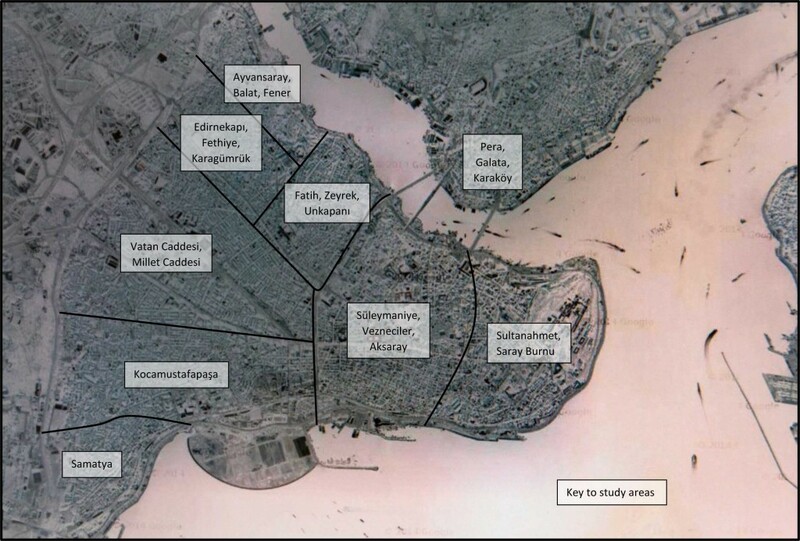 This is an attempt to map and photograph every remaining Byzantine church in Istanbul, no matter how fragmentary. I also look at the amazing proliferation of Christian variety that has stemmed from the original Ecumenical patriarchate of Constantinople. There are some inevitable inaccuracies here. Please let me know if you find some. Here is the explanation and introduction (with references). 1. Find it in the index. Most churches appear under a number of different names. 2. Click the appropriate area on the list below (as indicated by the map).